No matter where you live or what the source, you have to get water into your home, and you want the water to taste good. When your home uses water from a city water plant, you can rest assured that the water is filtered and cleaned of dangerous contaminations. This is not always the case if you have to use well water. If your water source happens to be from a well, then there could be things floating in it that you cannot taste but still want removed, making the purchase of whole house water filter all the more appealing. Such a system will improve the smell and taste of the water. It will also filter out any bacteria, parasites, or other contaminants that could be lurking in your home’s water supply. A good well water filtration system will make you forget where your tap water is coming from! 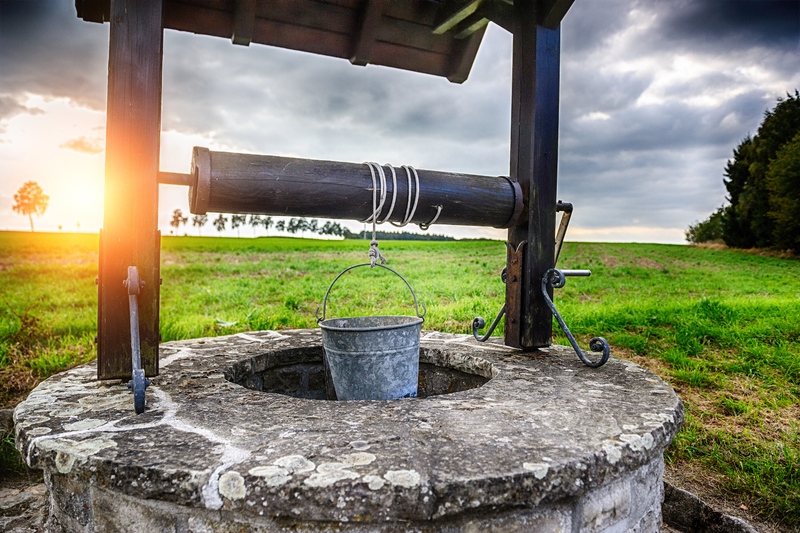 Based on the type of well, there are several things that could be in your water. The age, location, condition, installation, and design of your well all contribute to the contaminants that are in your water supply. To best know which contaminants could be in your well water, you should stay on top of having your water tested annually for newer wells or as often as two to three times a year for older wells. You should test your well water when there is a higher chance of contamination. This occurs in early spring after the first thaw, after an extended dry spell, or during times of extensive rainfall. You will also want to check your water after a prolonged time of disuse. It’s easy to think that your water is safe for consumption, since your well is covered and surrounded by soil. True, the surrounding soil helps filter out those disease-causing microorganisms found in higher groundwater, but it’s still possible for some of those contaminants to find their way into your home’s water supply. Well casings or caps that are improperly installed. Contaminated surface water entering the well. As you do your yearly or quarterly checks of your well water, these are things you should be checking for as well, so you can fix them right away if they arise. What Does a Filter Do for Well Water? The correct filter set up with the appropriate well water filtration parts will target and remove the impurities from the water that your family wants to avoid. It’s important to work with experienced professionals, as they can help you determine the right components for your system and your home. There are several types of well water filtration systems, and some of them work well together. There is a Sub-Micron Post Filter and a UV Filter. These options compliment each other and help remove common pollutants that can compromise your well water. Using a Sub-Micron Post Filter helps eliminate sediment and organic particles that a whole house filter may miss. The UV Filter removes any additional viruses and bacteria that could pose a threat to your health. Which Water Filtration is Best for Your Well? The best way for you to get the results you want and improve your home’s well water is to go through and customize a whole house water system that will meet your specific needs. It’s good to remember that simply adding the UV Filter or the Sub-Micron Post Filter can help remove common contaminants from your well water. These are the things you should look at when you are building your well water filtration system. It’s important to know the capacity of water you want to filter, and also take into consideration whether you are renting or purchasing the well water filtration system. It’s always best to consult with a professional as you are making these decisions to ensure that the purchase and installation is just right. With so many things that could possibly be floating in your well water, it’s smart to regularly check your well. If you are unhappy with what you find, it’s a good time to look into what kind of filtration system is best for you. Well water filtration goes beyond the taste and smell of the water. It also helps protect you, your family, and visitors from harmful contaminants. If you’re interested in more information on water contaminants, check out Advanced Water Solutions’ blog on plastic pollution in water here!